Annie Lee Milliken Canady, 93 years young went to be with our Lord at her home on Oct 21, 2018. She was born July 6, 1925, in Freeland, North Carolina. Mrs. Canady was the daughter of the late Raphel Sims Milliken and Charity Mae Reaves Milliken. Annie was an employee of Black and Decker and retired in 1981. Left to cherish her memory are her daughters Patsy Davis of Hope Mills and husband Richard, Betty Bryant of Parkton, Grandson Christopher Canady, Daughter in-law Linda Canady, and 6 Grandchildren, 11 Great-Grandchildren and 7 Great Great Grandchildren. Annie was preceded in death by her loving husband Clarence Christopher Canady Sr. of 68 years of marriage, and her sons Clarence Christopher Canady Jr. and Joseph Lee Canady. Annie faithfully attended Faith Original Freewill Baptist Mission. She always called it her little church in the wildwoods. Her love for this church and family carried her through the week until she could see another Sunday morning and be back in church. She will be remembered for her devotion, strength and her abundance of love she had for her children and family. 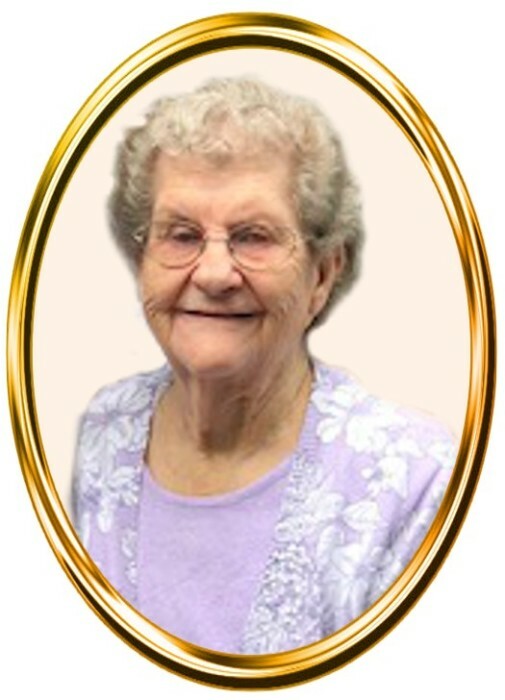 One of her remembrance will be of her love of sewing and quilting of prayer quilts for family, friends and the community. Her love of cooking extended out to everyone. Her heart always drifted back to her memories of her childhood days in Brunswick County and her love for the ocean. Special Thanks to Mrs. Marla Carr, CAP Case Manager for her love and devotion of 17 years, Christianna Behlin, with the Cumberland County Sheriff’s Dept. who called every day for the last 18 years. Heartfelt thanks to Ms. Bonnie Packer, Mrs. Brittany Keyes, Ms. Jessie Garrison and Ms. Letha McEachern for their devotion and loving care and many thanks to the Liberty Hospice Team. Visitation will be at 12:45 pm to 1:45 pm, Friday, October 26th, 2018 at Rogers & Breece Funeral Home. The Celebration of Life will follow at 2:00 pm. Rev. Clarence Privette will officiate the Celebration of Life and the eulogy will be given by her Granddaughter, Jennifer Shoe. Interment will be at Fayetteville Memorial Cemetery.